Hello, I am Quỳnh Skulls, nice to meet you! Quynh have been shooting weddings since 2011, living in Saigon – Vietnam. Capturing moments for people in an emotional, creative, and organic way is what I do now and Quynh wouldn’t have it any other way. Quynh can honestly say that every one of our clients becomes a great friend of mine. Quynh would love to meet with you and hear more about your wedding and all the details you have put into your special day! Quynh is more quality over quantity so Quynh limit the number of weddings book. 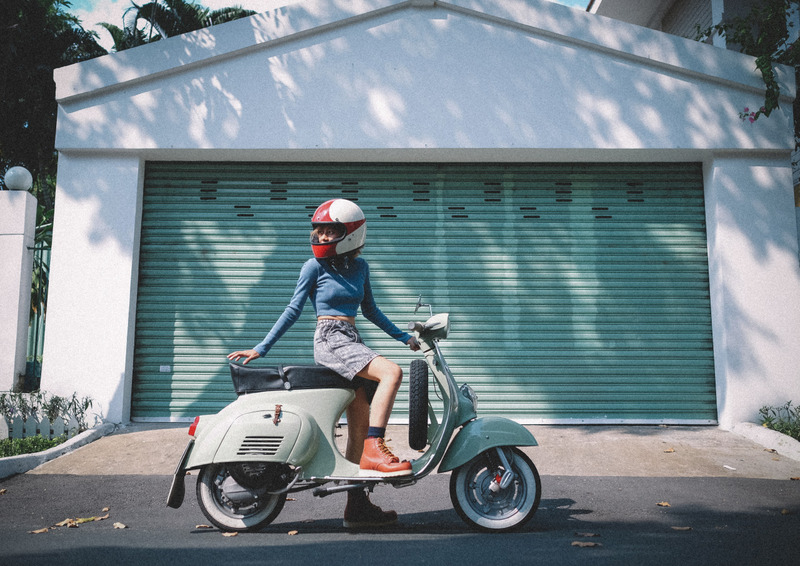 Quynh have a true love for vespa, film camera, tattoo, good music, leather, hand-made things, travelling with vespa and shooting video. If you like these things too, there is a good chance that Quynh would be a good fit to photograph your wedding. Check out my blog and website to see some of our current and past awesome clients! I hope to hear from you soon.